Last month I gave you an overview of the Janome MC9450 and promised that I would be introducing you to one of its exciting features, the tapering function. I always try to keep my promises, so this month I’m going to tell you all about this amazing new feature. You’ll notice the tapering function button right away when you turn on the machine as it’s the “new button on the block”, I mean, on the display menu. Our yellow arrow points it out. The tapering function allows you to taper the beginning and/or end of certain stitches at a specific angle. While you can’t use the tapering feature with every decorative stitch on the Janome MC9450, you certainly can use it with quite a few of them, probably more than you’ll ever really need. As with any decorative stitch, you have the ability to increase or decrease the stitch width or length, although there are some limitations when doing this. 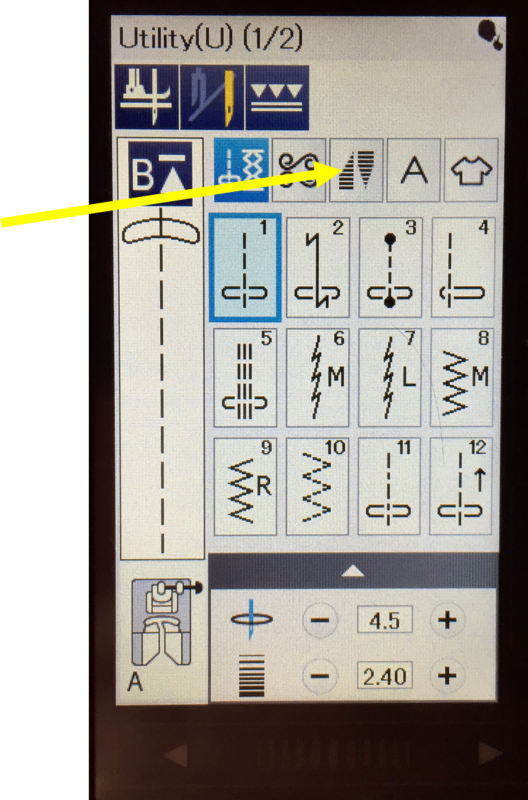 What I really find helpful when using the tapering feature is that you can preview it on the display screen on the Janome MC9450 before you stitch it out. This allows you to get exactly the look you want from that combination of decorative stitch and tapering feature. You might wonder when you would use the tapering feature. If you are a quilter who likes to do appliqué, you’re going to love the tapering function! Rather than having to decrease your stitch width as you approach a corner or a point, you’ll be able to use the tapering feature and have it auto-magically come to a stop at a specified angle and then start up the next side, matching the angle of the first part of the stitch to where it previously finished. It’s just like magic! If you are a garment sewist, you’ll be able to use the tapering feature in a similar way when adding decorative stitches to a garment. Imagine adding a decorative stitch to a collar point and have the Janome MC9450 magically taper to the collar point and then perfectly match the angle of the stitch as you go up the other side. You could also use the tapering feature to create a frame around a specific part of a garment or around a particular design in the fabric. Once you’ve created a decorative stitch using the tapering feature, you can actually save that “created” stitch on your Janome MC9450 or onto a USB stick. You can also mirror the stitch that you have created. Such a handy feature to have! It’s difficult to accurately explain the various choices you can make when using the tapering feature and how well it works, but if you click here you’ll be able to see exactly how well it works. Ed: our thanks to Kim for this most informative almost 20 minute video on everything you might need to know about how to do tapered stitches on the Mc15000, Mc9450 and S9. There are so many possible uses for the tapering feature on the Janome MC9450 I’m looking forward to using it in my raw edge appliqué projects. 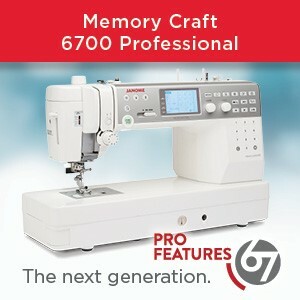 Just think of the possibilities you could use it for on your own Janome MC9450! 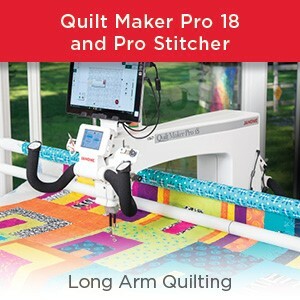 If you’d like more information on the Janome MC9400 and MC9450, please visit my Chatterbox Quilts’ YouTube channel. 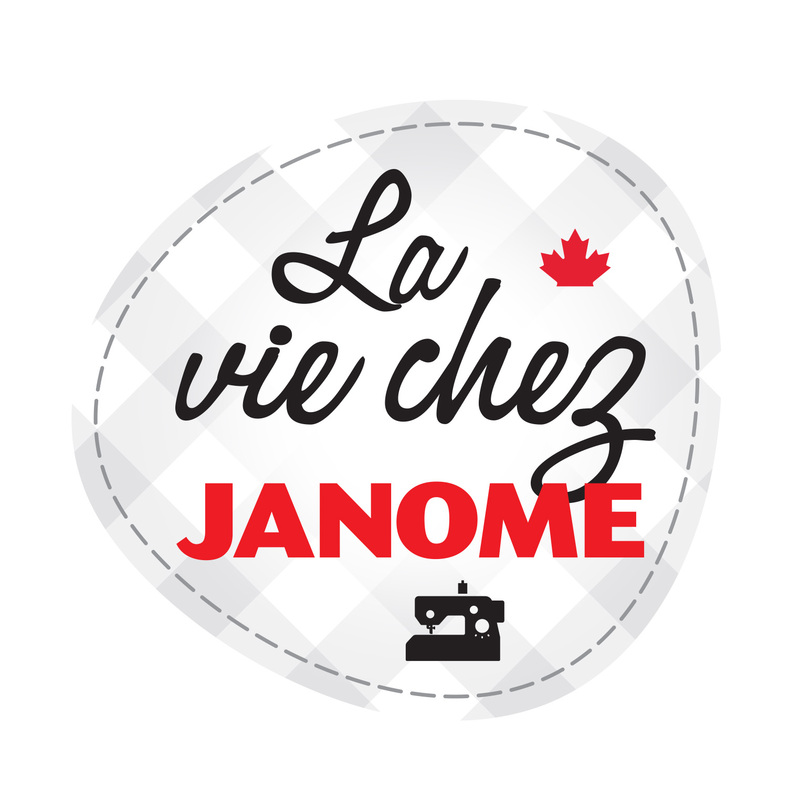 Happy stitching from Kim Jamieson-Hirst, Janome Canada Artisan in Calgary, Alberta. Quilter, Host at Chatterbox Quilts and The Quilter's Way, inspiring and encouraging quilters through education. This entry was posted in Janome Horizon MC9450QCP and tagged Janome MC9450QCP, Janome tapered stitches, Janome Tapering, Kim Jamieson-Hirst Janome Canada artisan. Bookmark the permalink. Is this available on the 9400? Maybe a software update would be made available if not. No, it is not. There was a purchasable upgrade last year for the MC9400 which included other feet and features, not the tapering. Tapering is a feature exclusive to the Mc9450 and 2 other machine models mentioned in the blog post. 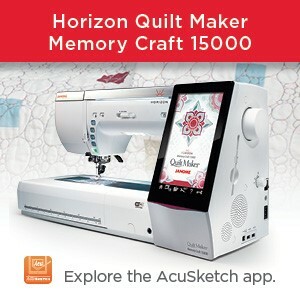 My 9450 arrives today and this will be one of the first things I test out–I am so stoked that Janome has now added this feature to several of its top machines. Would be brilliant for “bar tacks” at the top of pockets that get a lot of wear and tear in garments and bags, too! It sure would – I bet you are going to have a lot of fun with your MC9450!